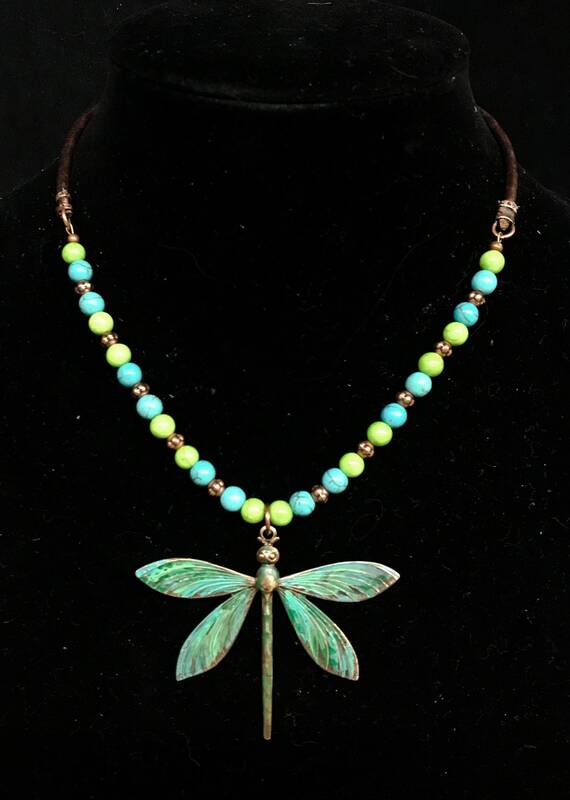 I was cleaning my work area and found a brass dragonfly pendant which was pretty plain. So I decided to paint it with Patina metal inks. 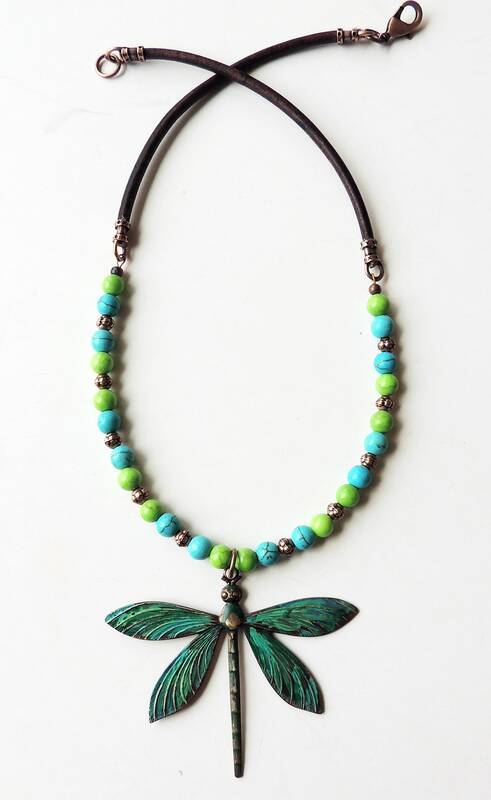 I now have a fun and bright piece of jewelry accented with green and turquoise magnesite beads. I added 3 mm natural brown leather cord for contrast. This necklace is 16 inches long. 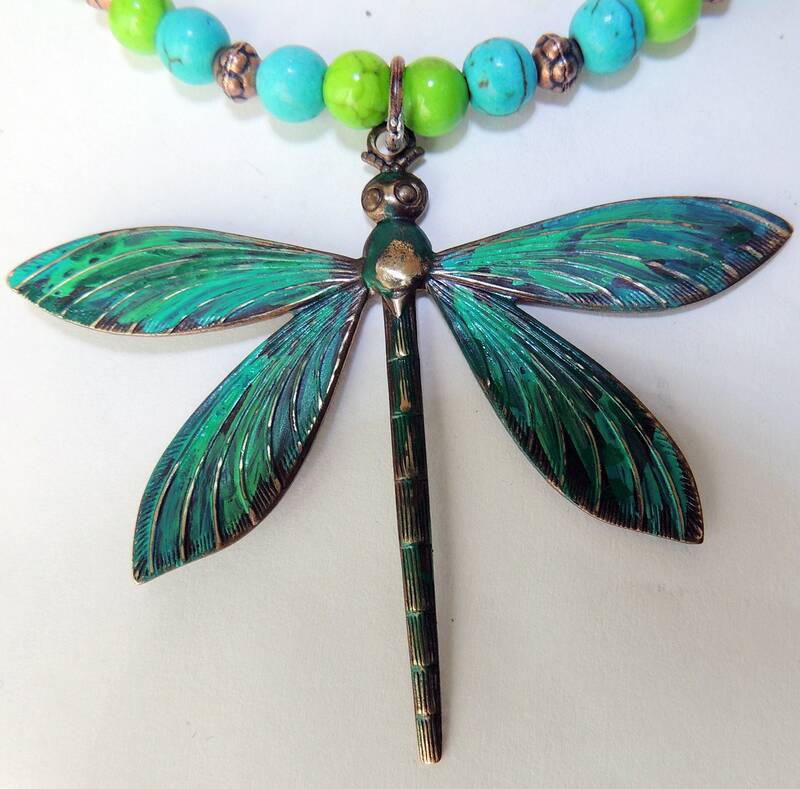 The Dragonfly is 2 1/2 inches wide and 2 inches long.